KALAMAZOO, MI. (July 2016) – Dade Moeller Health Group (DMHG) – a comprehensive medical physics support group – announces today that it is changing its name to Versant Medical Physics and Radiation Safety. Effective immediately, the name change reflects the company’s departure from Dade Moeller & Associates, Inc. where it previously operated as a subsidiary. Versant provides medical physics consulting including clinical radiation therapy, commissioning, regulatory and educational services. 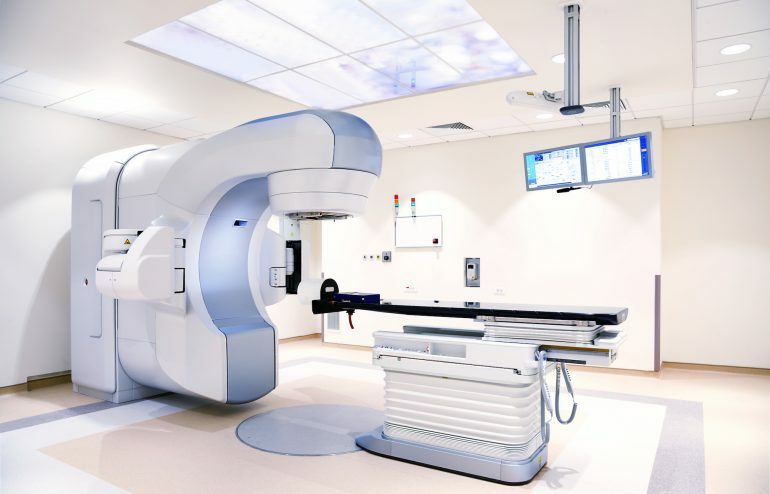 Soon it will offer specialized software for accreditation, online continuing education and training, as well as radiation safety for medical physicists and radiation oncology physicians. “Technology is the driving force behind improvements, not only in efficiency, but also quality in many industries. As part of our commitment to improving the efficiency of work and quality of care that our clients provide, software is paramount,” says Ben Ramsay, Director of Operations and Technology Applications at Versant. Dade Moeller Health Group separated from Dade Moeller & Associates in a management buyout, leading to the creation of Versant. DMHG was originally founded in 2013 under the leadership of Bill Kennedy to meet the needs of medical clients through radiation protection, medical physics and regulatory services. Physics Services Integrated – a full service medical physics group located in Buffalo, New York – later joined DMHG to expand their service lines. Brent Murphy joined and led DMHG as President from January 2014 until September 2015. Headquartered in Kalamazoo, MI, Versant Medical Physics and Radiation Safety provides exceptional quality consulting services to health care providers. A woman-owned small business at the forefront of the medical physics industry, Versant’s mission is to produce highly accurate, efficient results to ultimately improve the quality of its clients’, and their patients’, lives. The Company offers a comprehensive line of services that includes Therapy Physics, Commissioning, Radiation Safety Officer (RSO), Safety Training, Internal Dose, Diagnostic QA, Regulatory Support, as well as Remote and Onsite Dosimetry. Proprietary in-house commissioning software provides clients with accelerated, on time commissioning. Offering remote treatment planning services gives secure, individualized attention with start to finish planning and contouring support. Versant’s effective hybrid solutions offset the high cost of locum services. In 2016, the Company plans to roll out specialized software for accreditation, online continuing education and training for medical physicists, healthcare providers, and other radiation professionals engaged in medical radiation safety. For more information about Versant, please visit www.versantphysics.com.